"Like" Artisan? Check out our new visual social media accounts! We have some great things in the works at Artisan! We have recently expanded our visual social media to include Instagram, and we have also updated our Yelp page. If you’ve had a great experience with Artisan HD or Artisan Colour, we’d really appreciate a review of our printing services, an Instagram picture, Yelp photo or a comment! 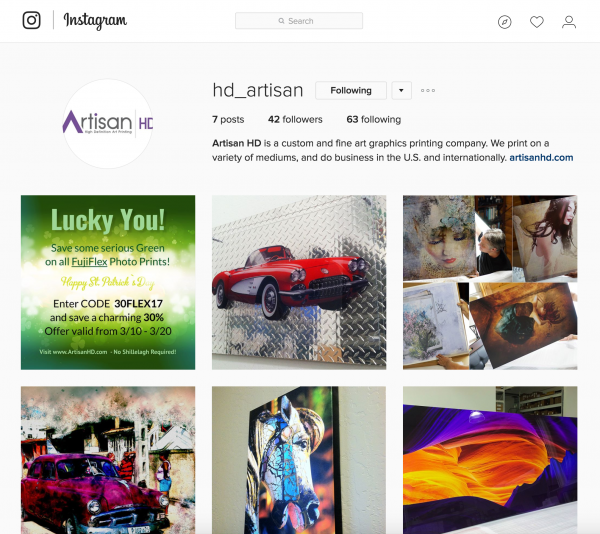 We’ve added to our visual social media by creating Instagram accounts for our parent company, Artisan Colour, and our consumer printing services division, Artisan HD. If you are on Instagram, please follow us, or tag us in your Instagram posts when you receive your new artwork! 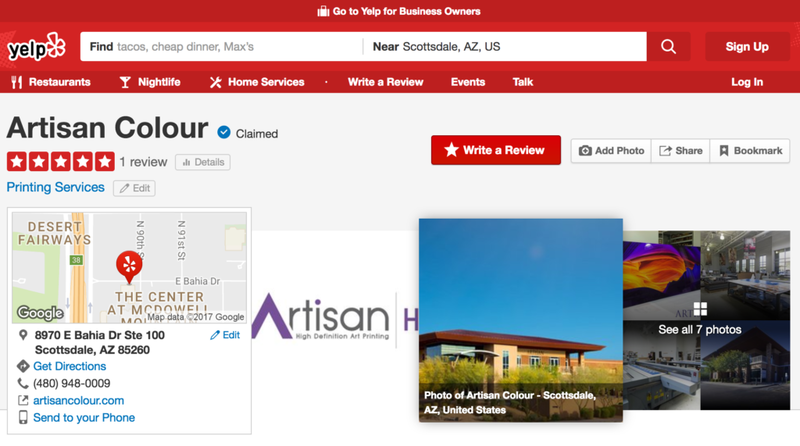 Our newly updated Yelp account will help you find Artisan when searching for local printers. We know many of you have asked how you can recommend us to your friends or let people know how pleased you are with our quality printing services – so please feel free to leave us a review or add Yelp photos! 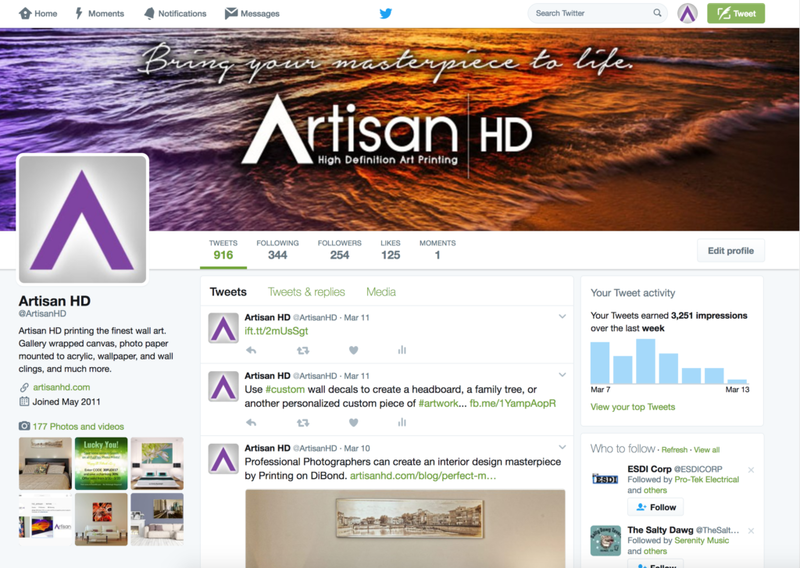 If you didn’t know, ArtisanHD is also on Facebook, Twitter, Pinterest, Google +, and LinkedIn. Please be sure to “Like” us today! As always, our experts are here for you so feel free to contact us through our channels or directly for immediate assistance. We’re more than printing. We’re Artisan.